Why do we need Personal Branding? Isn’t the name, qualifications or just a business card enough? No. They are not. 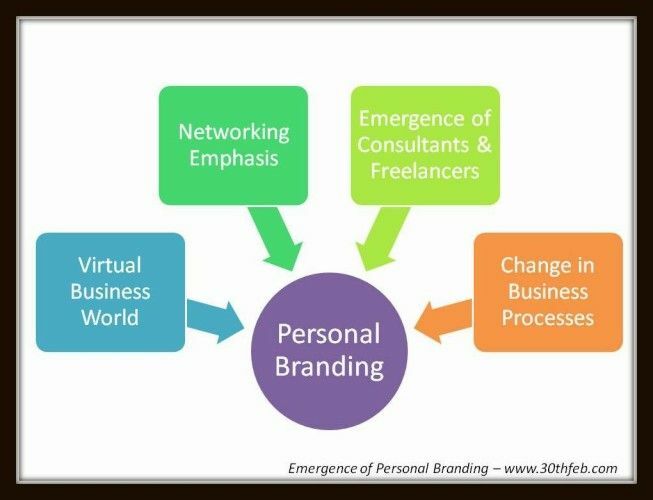 In today’s work environment when not only the resumes, interviews, hiring, consulting etc all operations have gone virtual but in fact the organizations have got into virtual hiring – personal branding has become a must. It is important to put your credentials transparent in the best way possible. Nobody has got the time to spend in hunting – they need to come across things which are most relevant & appropriate for their requirements and that one quick solution is possible through Personal Branding. Personal Branding eliminates the gap between what you know about yourself and you want them to know too. We live in a virtual world and so do the businesses. Be it a simple website or a web seminar, almost everything can be done online. Meeting people is still considered a good thing but a meeting doesn’t hold up a business interaction or a deal. If you are present online, you can connect and do business. But like you, there are millions of options available virtually and if want to be noticed as among the best options available – Personal Branding is the key. How you position yourself in the virtual world, what are your visible interests and even the kind of interactions you have with the friends online – count! All these things combined together with your personal details and professional accomplishments create your Personal Brand. Networking is the key to success in the present day work culture. Companies look for experts in each & every field, there is no hesitance is hiring based on age, experience, qualifications etc, and people are always looking for the most appropriate candidature and that makes networking all the more important. It also enables reaching out. When you are a beginner, a startup owner, a freelancer or someone in the corporate who need – Career Counseling, Advise, Industry feedback etc – you need to connect with the right people in the right manner. Do not mistake networking as social networking only. Networking means connect & having healthy conversations – meeting the right minded people, the influencers, the experts – it is also about professional camaraderie and making new friends. Many a time, in my professional networks – be it an entrepreneurial summit or an alumni meet, I have seen people meeting, greeting, talking and making lifelong relationships – from co-founders to spouse, networking is magical. The world after the recession has changed. Professionals from the world over now know that they are not working in a recess- free work environment and that is why the jobs are now considered unpredictable by many. Also, the young lot has broken he barricades of contemporary hiring techniques and so we are aware- that it is the work that counts, the results that matter above everything else. The nuclear family culture, forced either of the parent to quit a regular job and take up something which offers more family time and satisfies their professional hunger too. So, why do we think that it leads to a need gap for Personal Branding? Because, in a bunch of freelancers, consultants and early start-ups – you need to stand out! And personal branding is just what you need to lead by the right message & self identity. The way we do business these days has changed remarkably. Sitting in my home @ Delhi, I work with clients’ world over. Thanks to technology. People trust people, be it banking, profile credentials, work – almost everything can be verified online. There are online forums which talk about you, sites where you can upload your previous work; mediums through with confidential & heavy artwork files can be shared. All this has enhanced the scope for Personal Brands – they are emerging, we are emerging. 30% of the corporate work force carries a Plan B with them, some call it their start-up plan and others call it a retirement plan. They have it all. Overall we can say, Personal Branding is a requirement for leadership and for business too.